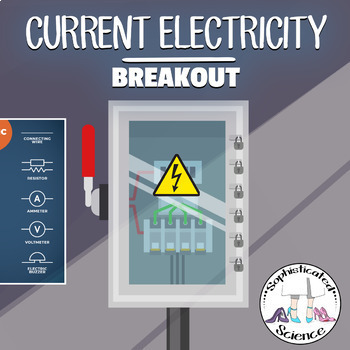 Topics include: Famous Scientists, Electrical Discoveries and Technology, Properties of Parallel and Series Circuits, Schematic Symbols and Diagrams, and Electricity Algebra and Word Problems. Help! Someone is trying to sabotage your science class. They have flipped the breakers in the fuse box, leaving the science rooms without lights or power. They have locked up the fuse box, using a series of locks that can only be cracked with a keen knowledge of current electricity. Can your class break open the box to return the science rooms to full power? Using the “famous figure” cards provided, students will read about famous scientists that contributed to the discovery of electrical theory and technology, including William Gilbert, Stephen Gray, Benjamin Franklin, Charles-Augustin de Coulomb, Alessandro Volta, André-Marie Ampère, George Ohm, Michael Faraday and Thomas Edison. 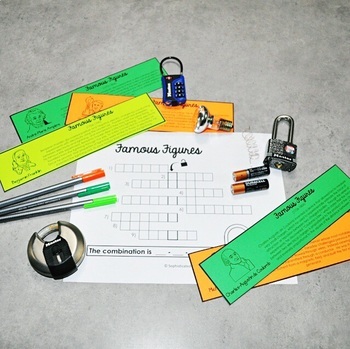 Students will then apply this information to a crossword activity, in which they must successfully match the scientists to their discoveries. Students will demonstrate their understanding of schematic symbols and the function of electrical components by completing a magic box. 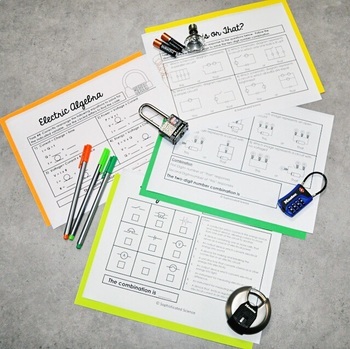 Students will correctly identify why the bulbs are not lighting up within the circuits, and then use the multiple choice key to correctly identify the combination. Students must correctly match electrical terminology with its definition, variable and units. Students will respond to questions by circling the circuit that best fulfills the criteria. Students will solve word problems, indicating the correct value and unit for each question, and use a key provided to solve the combination. 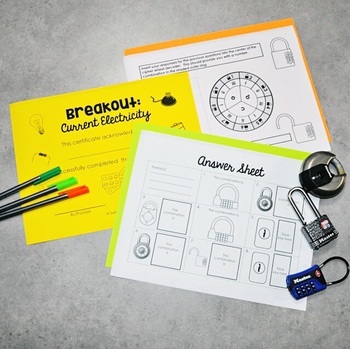 To wind up the activity, students will respond to an electricity riddle, but completing a maze to determine the correct answer.